Overt tensions with the ICT ministry tested he independence of the Communications Authority (see Regulatory Environment). Online manipulation and disinformation tactics on social media proliferated during the 2017 elections season, including coordinated pro-government bloggers who effectively manipulated conversations on Twitter and Facebook (see Media, Diversity, and Content Manipulation). The new Computer Misuse and Cybercrimes Act, 2018, passed in May 2018, imposes penalties of up to 10 years in prison for the publication of “false” or “fictitious” information that results in “panic” or is “likely to discredit the reputation of a person (see Legal Environment). A number of citizens were arrested for alleged hate speech or criticizing the government online (see Prosecutions and Arrests for Online Activities). The High Court of Kenya ruled unconstitutional in April 2018 the regulator’s plan to implement a system that would have provided access to mobile subscriber data (see Surveillance, Privacy, and Anonymity). The 2017 elections period saw multiple hacking attempts of the election commission’s website (see Technical Attacks). Internet freedom in Kenya declined in the past year due to coordinated online misinformation campaigns that effectively manipulated information during the 2017 elections season, as well as the passage of a cybercrime law that penalizes the publication of false news with prison sentences up to ten years. In the past year, Kenya’s vibrant online sphere has seen the proliferation of semi-organized “bloggers for hire” who use their collective clout on Twitter and Facebook to manipulate the online information landscape and shape public opinion. Online manipulation was particularly pronounced during the 2017 elections season. Propaganda, hate speech, and social media campaigns targeted individuals or organizations affiliated with the opposing side, including via paid Google Ads and Facebook sponsored posts. The controversial firm Cambridge Analytica was revealed to have been behind two websites that were used extensively during the general elections campaigns, one of which spread hate speech; the other spread positive narratives favoring the incumbent candidate, President Uhuru Kenyatta. The new Computer Misuse and Cybercrimes Act, 2018, passed in May 2018, threatens to further restrict online freedom of expression. The law imposes penalties of up to 10 years in prison for the publication of “false” or “fictitious” information that results in “panic” or is “likely to discredit the reputation of a person.” In June 2018, the Bloggers Association of Kenya (BAKE) successfully appealed the problematic provisions of the law, which were subsequently suspended until the court could hear the case. Despite the negative trajectory, Kenya’s civil society has been active in pushing back against internet freedom violations. The Kenyan judiciary is also independent and has protected the fundamental rights of citizens online when activists have filed cases against government infringements. Most recently in April 2018, the High Court of Kenya ruled unconstitutional the Communication Authority’s plan to implement a Device Management System that would have provided the authority with access to mobile subscriber data, including call data records. Access to the internet continued to improve, particularly on mobile devices. Overt tensions with the ICT ministry tested the independence of the Communications Authority. The Communication Authority of Kenya (CA) is mandated with licensing all communication systems and services in a liberalized market structure. Due to the hybrid nature of communication systems, the regulator set up a Unified Licensing Framework (ULF), which is technology and service neutral.17 As of April 2018, the regulator listed 3 submarine cable landing rights operators and 57 network facilities providers (3 of which are national providers while the remaining 54 are regional).18 These licensees provide, among other things, facilities for internet, voice, and mobile virtual operations. Cybercafés are licensed as business units by local governments, and there are no special regulatory or economic obstacles to their establishment. Kenya’s telecommunications sector is regulated by the Communications Authority of Kenya (CA), established as an independent agency by the Kenya Information and Communications Act (KICA).26 The management of the authority is vested in a board of directors that consists of a chairperson appointed by the president, three principal secretaries hired by the public service commission, and seven persons appointed by the cabinet secretary of the ICT ministry.27 The day-to-day operations of the regulator are managed by a director general who is appointed by the board for a four-year term, renewable only once.28 The director general is an ex officio member of the board without any voting rights. The CA board and the director general have entered in and out of talks to resolve their differences, but not without further friction—for example, police officers refused the director general access to his office, prompting a contempt case against the CA board and the ICT ministry.32 Judicial intervention may have reinstated some semblance of order in the institution, but the highly publicized differences between the regulator’s board and its administration have eroded both its public perception of independence and functional integrity. Content is periodically restricted for violating Kenyan social mores, though censorship is not systematic. The 2017 elections season saw the proliferation of online manipulation and disinformation tactics on social media, including coordinated pro-government bloggers who effectively manipulated conversations on Twitter and Facebook. Digital activism remained vibrant. Political and social content is not generally subject to blocking in Kenya. Network measurements to detect Internet censorship conducted between June 2017 and July 2018 indicates no censored website out of the tested list.33 This was a continuation of research findings made in a December 2016 report, by the Centre for Intellectual Property and Information Technology Law (CIPIT) in partnership with Open Observatory of Network Interference (OONI). Out of the 1,357 websites tested on four of the country’s leading networks, there were no observed signs of censorship. Social networking platforms and communication applications such as Facebook, Twitter, YouTube, and LinkedIn were also fully accessible.34 Nonetheless, the government periodically polices the internet for content that is perceived to be morally objectionable (see Content Removal). The state has increasingly sought to have content removed online, with government officials, politicians, and religious leaders pointing to certain laws, religion, or morality as justification. Kenya’s online information landscape is diverse and vibrant, representing a wide range of issues and viewpoints. Social media has become an influential platform for journalists to source and share news. Traditional broadcast media have increasingly adapted their programming to align with social media and interact with viewers in real time on Twitter or Facebook. During the 2017 elections season, social media enabled opinion influencers to proliferate, unfortunately leading to online manipulation and overt disinformation. A number of news websites were registered with legitimate-sounding names to disseminate false news, such as CNN Channel 1 (cnnchannel1.com),48 undermining the quality of information available online. 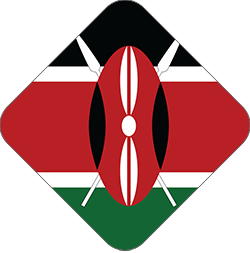 In advance of the elections, the Communications Authority gazetted in June 2017 new guidelines to curb online abuse in partnership with the National Cohesion and Integration Commission (NCIC), a statutory body which seeks to reduce inter-ethnic conflict.54 However, the guidelines included broad wording as the basis for penalties, prohibiting political messages that “contain offensive, abusive, insulting, misleading, confusing, obscene or profane language,” which could be used to limit legitimate online expression. The guidelines also required administrators of social media pages to “moderate and control the content and discussions generated on their platform,” and gave mobile network operators the power to refuse at their discretion the transmission of political messages that do not comply with the guidelines.55 In addition, bulk political messages required prior approval from the NCIC. Twitter adopted #ElectionsKE and #KenyaDecides as the supported “official” hashtags for the 2017 elections, together with the Kenyan flag emoji.60 The hashtag allowed for simplified aggregation of dynamic election news. The new Computer Misuse and Cybercrimes Act, 2018, passed in May 2018, penalizes the publication of false information with up to 10 years in prison. A number of citizens were arrested for alleged hate speech or criticizing the government, with several incidents occurring around the 2017 elections period. The elections period also saw multiple hacking attempts of the election commission’s website. Freedom of expression is enshrined in Article 33 of Kenya’s 2010 constitution and includes the right to seek, receive, or impart information and ideas, while Article 31 provides for the right to privacy. These rights, however, do not extend to propaganda, hate speech, or incitement to violence. Hate speech is penalized under the 2008 National Cohesion and Integration Act, a law that was passed in response to widespread ethnic violence following the 2007 general elections.67 Individuals found guilty of spreading hate speech, broadly defined, can be fined up to KES 1 million (US$11,000), sentenced to up to three years in prison, or both. The new Computer Misuse and Cybercrimes Act, 2018, passed in May 2018, threatens to further restrict online freedom of expression. The law imposes penalties of up to 10 years in prison for the publication of “false” or “fictitious” information that results in “panic” or is “likely to discredit the reputation of a person.”68 In June 2018, the Bloggers Association of Kenya (BAKE) successfully appealed 26 problematic provisions of the law,69 which were subsequently suspended until the court could hear the case.70 A high court judge ruled in October 2018 that the provisions would remain suspended until November,71 despite the government’s efforts to seek a judicial review of the ruling, arguing that that the judiciary erred in its suspension. The Kenyan judiciary is independent and has made several moves to protect the fundamental rights of citizens online in the past few years. In April 2018, the High Court of Kenya ruled unconstitutional the Communication Authority’s plan to implement a Device Management System—introduced in January 2017—that would have provided the authority with access to mobile subscriber data, including call data records (see also Surveillance, Privacy, and Anonymity). Other proposed laws seek to protect the rights of Kenyan internet users. The Data Protection Bill 2013, though still in draft form and in need of critical revisions as of mid-2017, aims to regulate the collection, processing, storing, use, and disclosure of information relating to individuals processed through automated or manual means.76 The current absence of a strong data protection law threatens citizens’ privacy rights amid rising concerns over unchecked government surveillance (see Surveillance, Privacy, and Anonymity). Numerous Kenyan bloggers and social media users were arrested or summoned for questioning during this report’s coverage period, continuing an alarming trend that has grown in recent years. In August 2017, Robert Alai, a popular blogger and social media influencer, was arrested in connection with information he published about the health of a family member of President Kenyatta.78 Content posted on his Facebook page in relation to the story was removed without explanation (see Content Removal). Alai has been arrested numerous times for online speech. The government’s unlawful and disproportionate surveillance capabilities have become more evident in the past couple of years, particularly as the country prepared for national elections in August 2017. Independent research in recent years has revealed various types of surveillance technologies that the Kenyan authorities or other actors may employ to monitor citizens. Most recently in September 2018, The Citizen Lab published findings on the presence of Israeli-based NSO Group mobile phone spyware on two Kenyan ISPs, Safaricom and SimbaNet.88 In March 2017, research published by the Centre for Intellectual Property and Information Technology Law (CIPIT) revealed the presence of a “middle-box” on a Safaricom cellular network.89 While middle-boxes have legitimate functions such as network optimization, they can also be used to manipulate traffic and assist in surveillance, raising alarms about possible privacy violations. Safaricom denied the existence of the box, and subsequent tests returned negative results, leading the researchers to conclude that it was withdrawn. PI separately revealed that national security agencies in Kenya, especially the NIS, have unlawful direct access to communication systems in Kenya that allows for the interception of both data and content.90 Based on interviews, PI found that law enforcement and national security agents have a physical presence in the telecoms’ facilities. The report also indicated that intercepted information could be freely shared with other government agencies. In a follow-up report published in July 2017, PI assessed two of the NIS’s new cybersecurity projects—the Network Early Warning System, and the National Intrusion Detection and Prevention System—which aim to monitor telecommunications traffic for cybersecurity threats. PI raised concerns that the two systems could monitor content as well as internet traffic, based on internal documents it received.91 Given the national security framework in which the systems are being implemented, transparency and oversight will be limited. 4 Communications Authority of Kenya, Quarterly Sector Statistics Report: Q3 FY 2017/2018 (January-March 2018). 6 International Telecommunication Union, “Percentage of Individuals Using the Internet, 2000-2016,” http://bit.ly/1cblxxY. NB: ITU data published in 2016 retroactively revised its timeseries data for Kenya’s internet penetration. In its 2015 dataset, internet penetration was estimated at 45.6 percent. The 2016 dataset revised the 2015 figure to 21 percent. No explanations were provided for the revisions. 9 ICT Authority, “National Fibre Optic to cover all 47 counties by December 2015” http://www.icta.go.ke/nofbi-update/. 10 Muthoki Mumo, “Sh74 billion needed to bridge Kenya’s yawning digital divide,” Daily Nation, May 28, 2013. http://bit.ly/1lPvXUo. 14 David Souter and Monica Kerretts-Makau, “Internet Governance in Kenya – An Assessment for the Internet Society,” Internet Society, September 2012, http://bit.ly/1M0d9xv. 39 KFCB, Governing Laws, http://kfcb.co.ke/about/governing-laws/ Accessed 16 July 2018. Penal Code Sections 162, 163 and 165 punishes gay relationships with jail terms ranging from 5 to 21 years dependent upon whether relations were consensual. Attorney General, Penal Code Chapter 63. Nairobi: National Council for Law Reporting, 2014. 43 Alice Munyua, Grace Githaiga and Victor Kapiyo, “Intermediary Liability in Kenya,” (research paper, commissioned by Association for Progressive Communication) http://bit.ly/1GOXHDa. 44 Section 62 (1) defines hate speech as “words intended to incite feelings of contempt, hatred, hostility, violence or discrimination against any person, group or community on the basis of ethnicity or race.” Section 62 (2) holds: “A newspaper, radio station or media enterprise that publishes the utterances referred to in subsection (1) commits an offence and shall be liable on conviction to a fine not exceeding one million shillings.” See: National Cohesion and Integration Act, 2008, section 62, accessed September 12, 2014, http://bit.ly/1ZR1dbX. 59 Bloggers Association of Kenya (BAKE), “The State of Blogging & Social Media in Kenya 2015 Report,” page 3. 60 Twitter Search, #ElectionsKE, #KenyaDecides http://bit.ly/2JCLB7N, accessed 13 June 2018. 67 Milly Lwanga, “Freedom of expression and harmful speech: The Kenyan situation,” Article 19, September 27, 2012, http://bit.ly/1M0qSEJ. 75 Republic of Kenya, The Kenya Information and Communications Act, chapter 411A, 2009, http://bit.ly/1LyMfxo; amended in 2013: The Kenya Information and Communications (Amendment) Act, 2013, http://bit.ly/1M1zTDB. 76 Commission for the Implementation of the Constitution, “The Data Protection Bill, 2012,” http://bit.ly/1hNGLGB. 91 Privacy International, “Trace, Capture, Kill: Inside Communication Surveillance and Counterterrorism in Kenya.” According to the report, Traffic monitoring projects (Network Early Warning System and National intrusion Detection and Prevention Systems have been detailed as enabling not just monitoring but deep inspection of all Internet traffic coming through the country. 95 Section 13. “A licensee shall grant the Commission’s officers access to its systems, premises, facilities, files, records and other data to enable the Commission inspect such systems, premises, facilities, files, records and other data for compliance with the Act and these Regulations.” The Kenya Information and Communications (Amendment) Act, 2013, http://bit.ly/1M1zTDB.